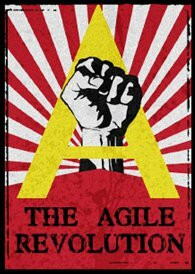 This entry was tagged Agile Alliance, Agile Coaching Institute, Agile Manifesto, Competency Cohort, Constellations, Craig Smith, Heart of Agile, Lemonade, Modern Agile, Tony Ponton, waterfall. Bookmark the permalink. We don’t have MUM, but we had MOM for a long-time (Message Oriented Middleware). So you could do DAD and MOM. Not that I’m crazy about DAD. I’m much bigger on Modern Agile. You know, there’s nothing about Modern Agile that specifies software. I know it’s your context and mine, but we’re finding a much wider applicability these days. I think the best thing so far is that it does not turn into a feature-mill (let alone a shame-driven feature mill) the way that other methods have been recently.